I wanted to share an online bedroom project I recently finished that I think came out so pretty. My client Beth, had wanted to update her bedroom into a new, bright and fresh space. Beth is really happy with our choices, which makes me really happy! Thanks for letting me share Beth. What do you think of of her design plan? Thank you for voting for my entry in the Tobi Farley design contest!! Just a few more days! Please try to vote each day! Thank you so very much!!!! Ready To Decorate With Spring Flowers? All so lovely! Well I feel a little more cheerful and bright now! I hope you do too. The Spring flowers and branches are almost here! Get your pretty containers prepared and ready to go! I love flowers in my home. Are you ready for Spring? 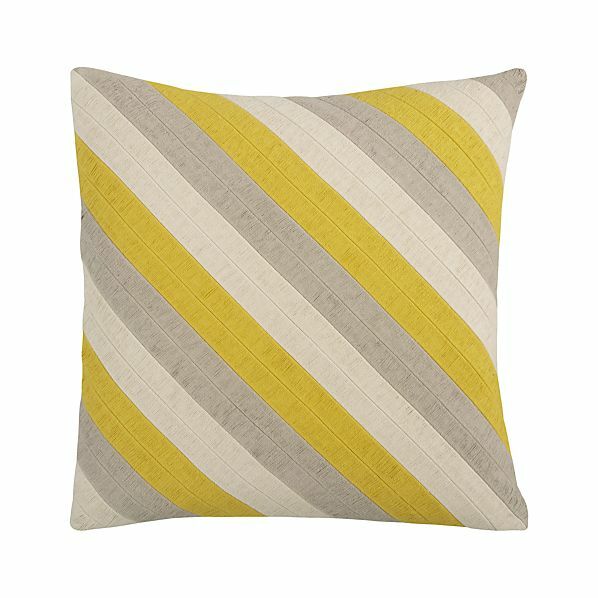 Have you noticed all the stripes coming up for Spring in fashion and home décor? Up and down, side to side, curved, zigzagged, chevron and even different sizes placed together, stripes are making a statement this spring. Stripes have always been around, they are just bolder! Of every width and color, stripes are everywhere from the runway to home décor. What do you think? Will we embrace the trend? I think so because we are always looking for new creative ways to update our look. I love the stripes- I always have! Such a pretty blue! It has given her the kick start to finally get motivated on her foyer that she has been wanting to change for a couple years now! I think she should stop procrastinating right now and make a plan, don’t you? If you need decorating help and ideas, contact me today. If you are hesitating to tackle a whole room redesign right now, how about starting off slow and decorate just one small corner? Wouldn’t it be nice to walk in the room and see a pretty area just waiting for you? Guaranteed smile every time. A place to sit and read and daydream. Just lovely! I hope I have shared photos that inspire you to make your little corner! Aren’t they beautiful? When your home is on the market and you are getting ready for potential buyers through either an Open House or for scheduled appointments, it’s important to make your house look it’s absolute best. There are times when you may just have one good window of opportunity for prospective buyers to visit and want to buy your home. Think of updating your home for an Open House or appointment as an investment- and work that investment to the max. # 1- Too many plants. Generally, one or two houseplants are fine, but no potential buyer wants to see a jungle of oversized, overgrown plants in a room. # 2- Pet Items- I love animals, I have a dog. But possible buyers do not want to see dog chew bones and fluffy beds in their potential living room. Please make the extra effort and put all pet items hidden away. # 3- Cold, empty fireplaces. Wouldn’t it look so inviting to stack some firewood and fill the fireplace, ready to light for a roaring fire? Help people visualize. It is a great selling feature- make it look grand! # 4- Outdated window treatments. They make such an impact in the room. A good rule of thumb for resale- if they are older than 3 years old, time for them to be taken down. You can read more about outdated window treatments here. # 5- Personal items, especially in the powder rooms, should be put away. I have seen used razors, dirty tissues and sad hair brushes. Buyers notice these things and can be turned off from the sale. # 6- Another common sense fact: please put down the seat in the bathroom. # 7- When visiting your home, potential buyers will look in every closet if they are truly interested in buying the house. Take a peek into your closet. Does it look stuffed and untidy? Buyers are looking for big open closet space. # 8- Accessories and knickknacks. Remember you are trying to sell your house. Buyers get hung up on little visual objects. And this includes art. # 9- Wall clutter. Your style might be different than the buyers. A wall gallery of your photos and artwork might not appeal to everyone. # 10- Smell. One of the first things noticed when you walk in. It is a big turn off for people. And do not burn candles right before buyers come because it is too obvious and looks like you are trying to cover something up. Instead, invest in a scented wall plug near the door. As I have stated before, you have to remember your good taste might not be someone else’s good taste. Treat it as an asset that needs to be sold as an investment today. Can you think of other items that should be stowed when showing your home? If you need help getting your home ready for sale, contact me today.